The alarm tone on my phone was so loud that it made my heart skip a beat. I was certain I had set the alarm for 3am but was shocked and started to panic when the time on my phone read 3.20am. I had asked the driver of the bus we had hired for the trip, to come pick me up at 4.00am yet I had barely packed any of my hiking equipment. I had no idea where my hiking boots were, I could barely find any matching socks in my drawer, I needed to have a shower and a strong cup of coffee to keep me sane and awake yet time was not on my side.It was 4.30am and the cold outside was unbearable, I was hesitant to go back into the house and pick up a sweater as my mother was fast asleep and I didn’t want to wake her up with my frequent movements in and out of the house. I had sat at the balcony in front of the house for almost thirty minutes, impatiently waiting for the driver to show up. I had rung him about six times and all he said was “Madame will be there in five minutes.” Thirty minutes had passed and there was still no sign of him and the vehicle. At about 4.45am I started to get suspicious and decided to ring my friend Charles who was meant to be our leader for the hike to voice my concerns. “The driver is still not here. What if he has tricked us? I think he has run away with the cash deposit we gave him for the bus’’ I whined to Charles as he quietly listened to my concerns.“I think you are over –reacting Lorna, he will show up’’ he responded to try and calm me down. “I think he is here, I said to Charles as I heard the bus come towards the compound. “We are coming to pick you up, I hope you are ready” I said to him as soon as I saw the bus trying to park on the compound. 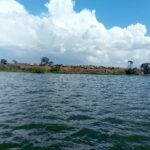 I hung up on Charles immediately without waiting for a response, I was relieved and disappointed at the same time because the driver had not kept time yet we had a long journey ahead of us. After countless apologies from the driver and the conductor for showing up late, I hurriedly carried my bags inside and asked them to quickly drive to Charles’s residence to pick him up and later head to the Fat back packers in Kisementi by 6am to pick up the rest of the hikers. Matt Battani the secretary of the Mountain Club of Uganda had requested Charles and I two months earlier to lead the mountain hike up in Moroto on his behalf as he was unable to do it. 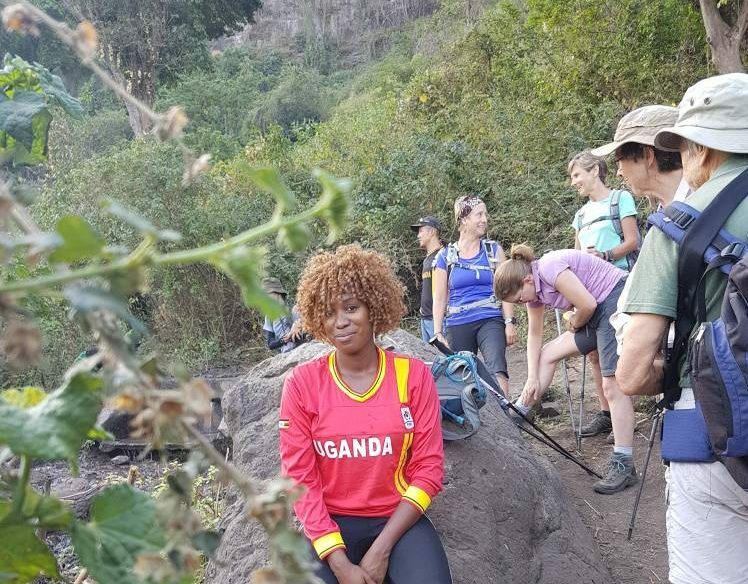 A few representatives of the mountain clubs of Uganda, Zimbabwe, Malawi, Kenya and South Africa were merging together to do this exciting hike. 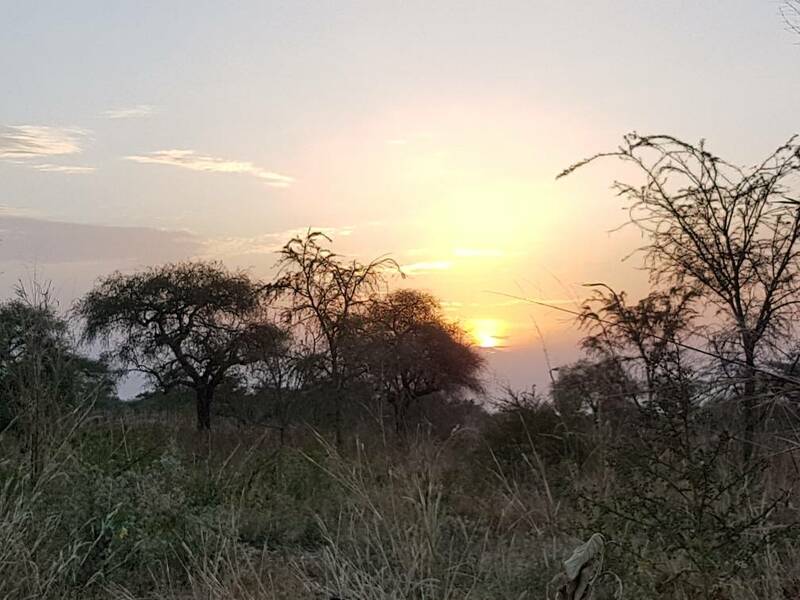 After introducing ourselves to the group and exchanging all the necessary pleasantries we boarded the bus at exactly 6 am and set off for the Karamoja region which is located on the North Eastern part of Uganda, about 10-12 hours drive from Kampala with a few stop overs along the way. The team in the bus was extremely friendly and cheerful, we all spoke about the political situations in our various countries with our favorite topic being Robert Mugabe ex-president of Zimbabwe, and we compared cultures and economic situations among many other topics. Michael the team member from Zimbabwe was receiving plenty of questions from me as I have been intrigued by Robert Mugabe’s governance in Zimbabwe for a long period of time. We stopped at Java’s café in Jinja for breakfast and later on had lunch at the Endiro café in Mbale where some members went out shopping for food supplies and safe drinking water for the week ahead of us. We arrived at the Pilas primary school which is situated in the Iriri trading center in the village of Lothaa in Napak at around 6pm; this was meant to be our camping area for the night. My phone had been ringing frequently as 2 of our group members from Japan, Ryutaro and Taiju had gotten into a bit of trouble with the local police and sub-county officials. They had travelled before us and had somehow been arrested for looking ‘’suspicious’ as the police explained to me over the phone. 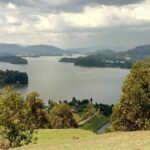 Miha a Slovenian-Ugandan who owns a lodge at Lake bunyonyi, Charles and I rushed to the sub-county office to try and rescue the situation. After several arguments, debates and tempers flaring left and right with the various officials at the sub-county we decided to make peace and offered them a UGX 200,000 fee instead of the UGX 1,000,000 they were demanding to allow Ryutaro and Taiju to return with us back to the camp. 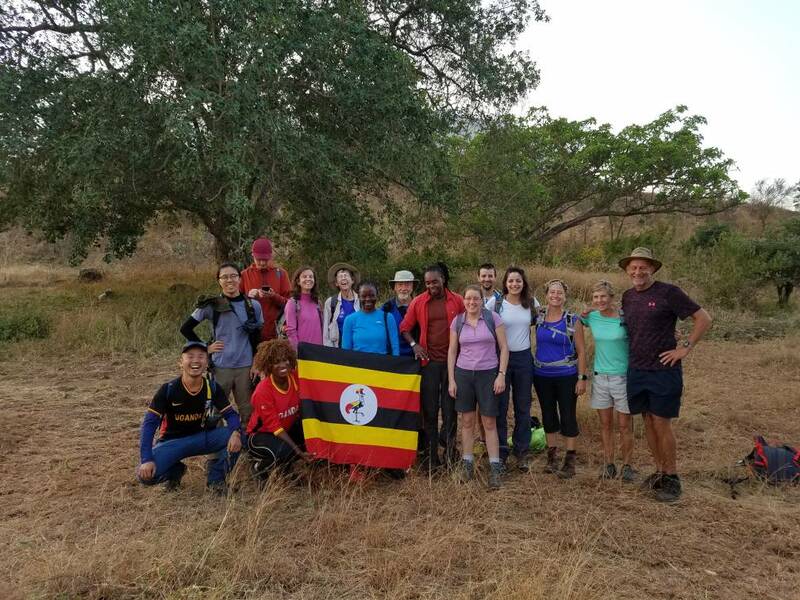 We were up and ready by 6am the morning of Sunday the 14th of January, we posed for a group photo with the Ugandan flag and begun to walk towards the starting point of the mountain. 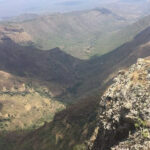 Mount Napak is the third highest mountain in Karamoja with a starting elevation of about 1,268 meters and a summit elevation of about 2,530meters. 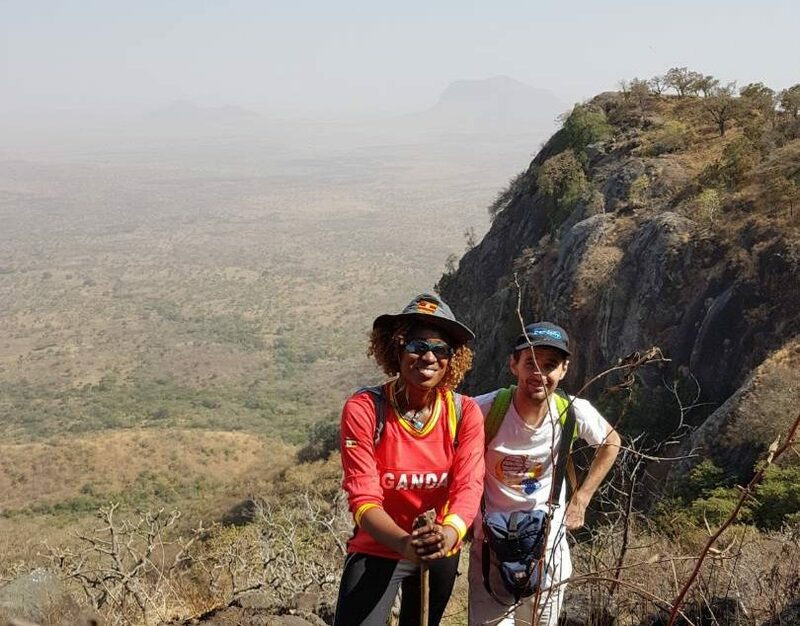 It is also considered to be one of the toughest mountains to climb in Karamoja as it has stiff cliffs and a few scramble sections that may require hikers to use a rope of about 15 meters to aid with the ascent. The ascent and descent on Mount Napak is about 18.9km if it’s hiked in a day like we planned to do, it takes a good 12 hours, 10 hours of hiking and 02 hours of breaks during the hike. The view of the sun rising in the horizon was spectacular; it colored the skies with a beautiful golden-brownish color. The pathway was bushy with plenty of tall grasses; we occasionally stopped to greet the locals who had their homesteads at the base of the mountain, took plenty of photos and kept on trekking. The hike started to get really steep at about 10 am. Steep rocky parts usually make me nervous as one wrong move could result into serious injuries and even death if the fall is severe, but luckily we had excellent team work and helped each other up where it got difficult. Charles, Wieslaw a skilled polish hiker and the local karamajong guide were extremely helpful and ensured all of us were safe. The decision to make Charles the leader of the hike was a good one. He is one of the most patient people I have ever met, he always stayed at the back of the group, whistling, singing and cracking jokes to ease the tension and fatigue that was starting to slowly build. Karamoja is a very dry semi-arid region and the heat is a bit extreme, the gruesome weather conditions made our ascent really challenging. We were at the peak of the mountain by 1.30pm the views from the top were perfect for photography as it unveiled jaw dropping panoramic views of the famous Alekilek rock, distant Karamoja plains and Mountain ranges. The breeze was calm and relaxing providing the perfect environment for us to relax and have lunch. Most of us were falling asleep shortly after lunch when Wieslaw decided it was best we begun our descent to avoid hiking in the night. We had assumed our descent would be much easier compared to our ascent but it turned out to be equally challenging. Some paths were slippery making some of us lose balance and slide every now and then luckily there were no injuries. By 5pm we were all exhausted and extremely dehydrated, we had run out of water and our pace had slowed down slightly. I was forced to sit down at a rock for about 15 minutes as my head was spinning and my sight had gotten blurry, I was extremely dehydrated, luckily the hikers from South Africa and Malawi had some spare water and rehydration tablets to share that aided in getting me back on my feet. At 7.15PM we slowly walked towards our camp site at the school, extremely exhausted. I remember being so dehydrated and fatigued that I could barely talk. After an hour of taking a power nap, having dinner and a cold shower we sat at the bonfire with some cold beers and vodka to celebrate our success. Mount Napak had been successfully conquered. “A huge THANK YOU to matt Battani for the invitation to Uganda and the planning, to Charles and Lorna for being our local charming hosts (the charm extending to the smooth release of our friends from the authorities at the Napak base camp), to Weislaw and Carolina for the daily nourishment, and lastly to the delightful group members with whom we hiked and shared stories and laughs. 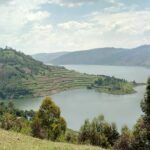 From the first Rolex in Jinja, through our interactions with the fascinating Karamojong, to the stunning top of the mountain we were smitten by this interesting and diverse country, Uganda. We had FUN-representatives of the mountain club of Malawi.